Ku-mie Kim was the featured artist for the Nature Artists’ Guild’s 2011 Holiday Exhibition at Thornhill Auditorium, The Morton Arboretum. The opportunity to become a botanical artist began as serendipity and developed into one of the greatest blessings and a passion in my life. 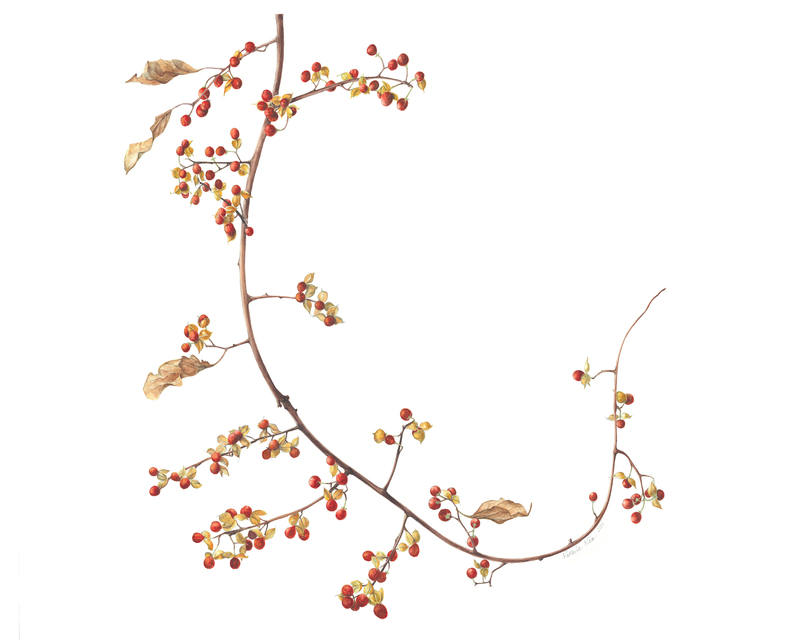 However, it would not have been possible without the excellent botanical art education programs at the Morton Arboretum. 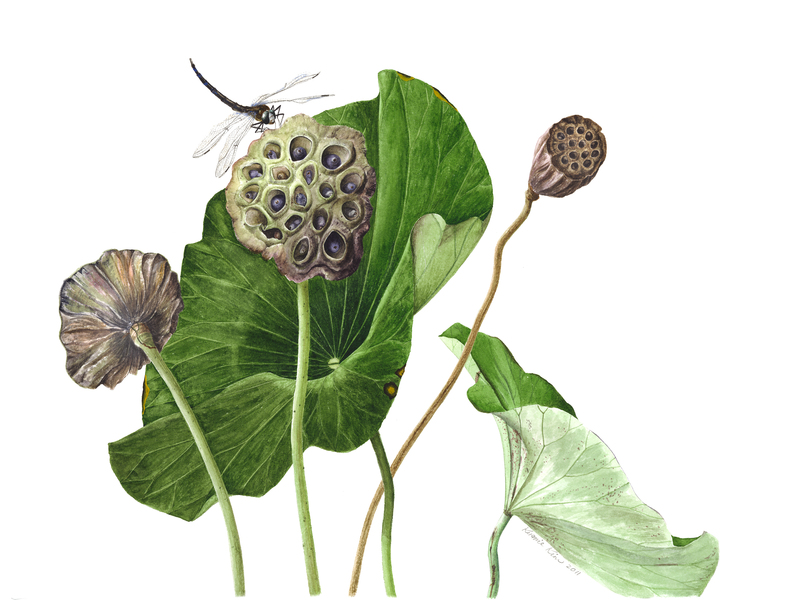 From the very first ‘eye-opening’ class with Kim Mullarkey, 2002, I have been enticed to the new genre of ‘botanical art’, which I didn’t even know to exist before. It has awakened my potential ability of close observation to appreciate the beauty from ordinary components of surrounding Nature which could be, otherwise, easily overlooked. I never knew a tiny flower could have such a flawless and exquisite design with perfect balance and symmetry. I never knew there were so many different ‘green’ colors in Nature. It continually fills me with incredible, awesome wonder and leads me to consider our Lord, the Creator, how skillful He is! It is that joy and wonder I want to share with others through my paintings. And it is my way of giving “ad majorem dei gloriam (Greater Glory to God)”, I believe. I have received the Botanical Art Certificate in 2006 at the Morton Arboretum. Along the way, many wonderful, inspiring artist teachers taught me to make who I am now as a botanical artist. Especially, I had never been exposed to watercolor before Bobbie Brown’s class, but still possessed the vague fear about the unforgiveness of this medium, particularly compared to pastel I used to. Through her teaching, though, not only I was able to overcome the fear but also watercolor became my favorite medium because of its charming nature of delicacy and transparency. Nature Artists Guild (NAG) of the Morton Arboretum has been another pivotal part of my artist life. I became close friends with many talented artists who had warmly welcomed me to the group from the beginning. It is such an amazing organization with full of encouraging, energetic and devoted nature artists. I feel so fortunate to have been part of it. 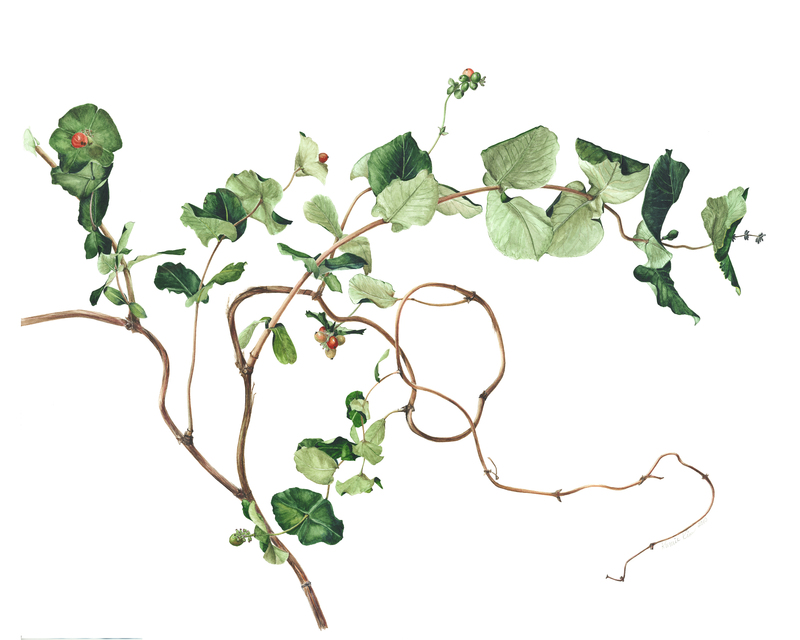 Recently, I was honored with a silver medal at the international juried BISCOT (Botanical Images Scotia) exhibition at Edinburgh, Scotland, UK, where I submitted eight watercolor paintings under the theme of ‘The climbers: vines and tendrils’. In 2009, I have been selected with my “Chinese Lantern (Physalis alkekengi)”for the International Juried Exhibition of the American Society of Botanical Artists (ASBA) titled “A Natural Perspective”, and displayed at the Phoenix Art Museum in Phoenix, AZ. In 2010, I was invited to the University of Michigan Hospital in Ann Arbor, MI to have solo exhibition of my botanical paintings as the part of their Gift of Art program. My other awards include the “Best of the Show” at the La Grange Art Gallery Exhibition in January, 2009, the “First Place” three times in 2004, 2005 and 2008, and the “Viewers’ Choice” in 2006 at the American Society of Anesthesiologists Art Exhibit. 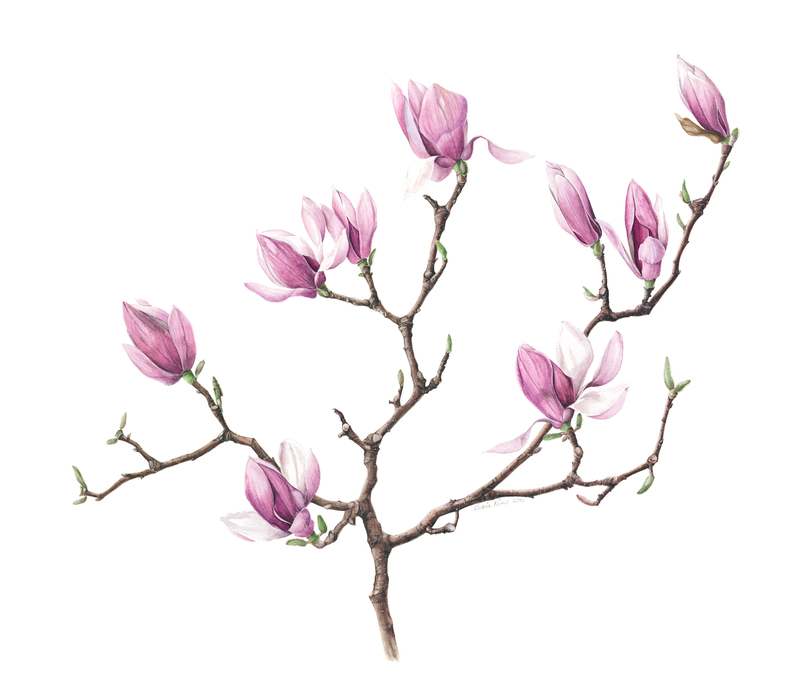 In addition to NAG and ASBA, I am a member of Reed-Turner Botanical Artists Circle of Long Grove, IL and La Grange Art League as well. By profession, I am an obstetric anesthesiologist and have worked at Loyola University Medical Center in Maywood, IL over 20 years. When I first started this botanical art, I used to joke this would be my retirement project. As time flies by and it is approaching closer and closer, I realize it is not a joke any more. I feel so thrilled about the idea that once retired, I will be painting all-day, not worrying about painting at night and going to bed at 3 o’clock in the morning to get up soon for work. Just thinking about it, my heart is filled with joy and excitement. I am so looking forward that day would come soon. Botanical art is truly one of my greatest blessings.